Spring Blossom Journey: Just Add Ink 193 - Star inspiration! There are only 3 more Friday's till Christmas - OMG and I still haven't done any Christmas shopping. I always have such good intentions to start my Christmas shopping early but it never works out that way. 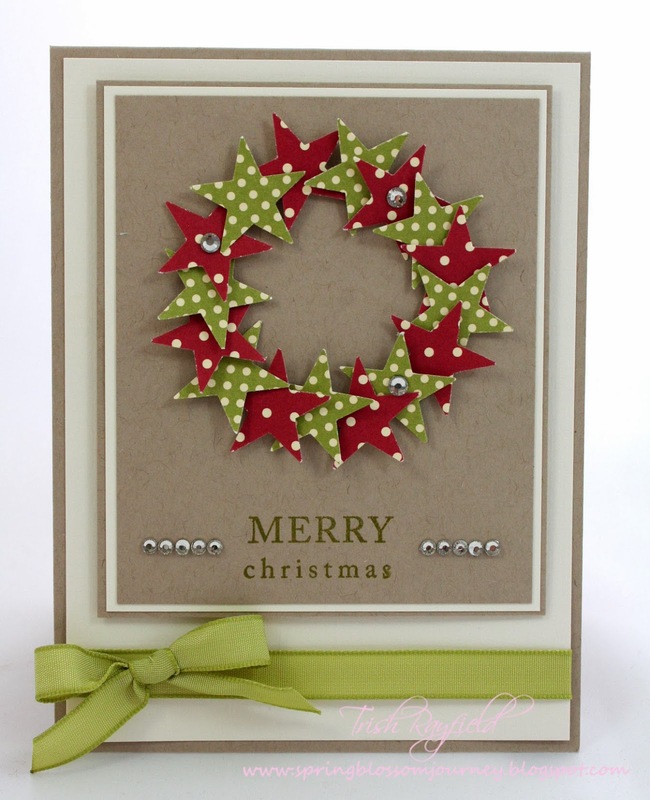 I really love traditional Christmas colours so it was a no brainer when I picked Old Olive and Cherry Cobbler to make this card. You should pop over to JAI and see the other amazing cards that have been produced by the Design Team and don't forget to link up your creation. I hope you are having a fab Friday and you've managed to get a bit more Christmas shopping done than I have! Trish your Christmas wreath is lovely and I too am trying not to get panicked about Christmas as I too haven't done much preparation or gift buying for Christmas yet and I am working almost right up until Christmas too! 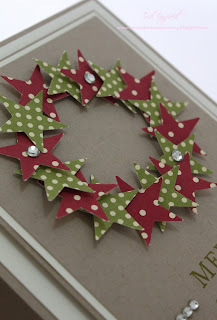 This is just lovely Trish - love your starry wreath! Just saw your card on Pinterest... Love everything about it... color, design and texture! Thanks so much for sharing! Is this the standard card size? I'm in Canada so our standard size is 4 1/4" x 5 1/2". 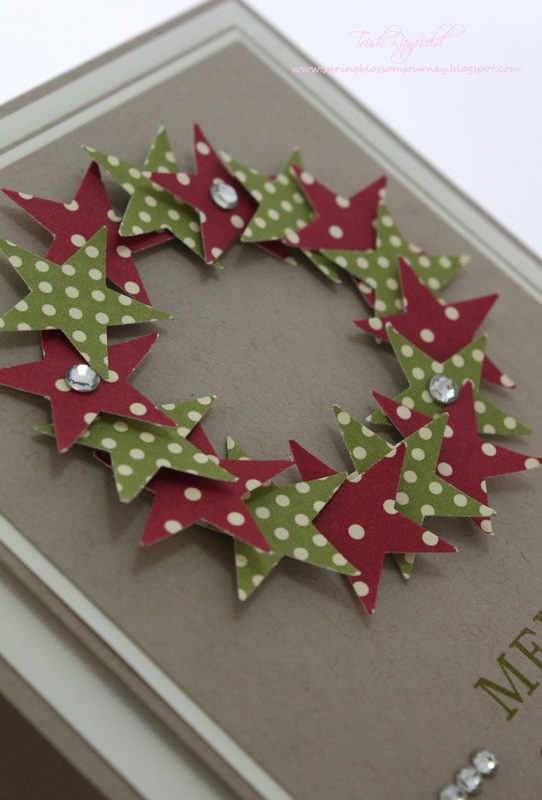 I've copied this card and the centre part is very small which means I can only use 5 stars of each colour to create the wreath. I'm guessing your card must be larger? Your card is just the perfect mix! colors design simple but elegant! Thank you for the inspiration - I am to make cards to raise funds for a school in Africa and I am going to try and CASE your card.